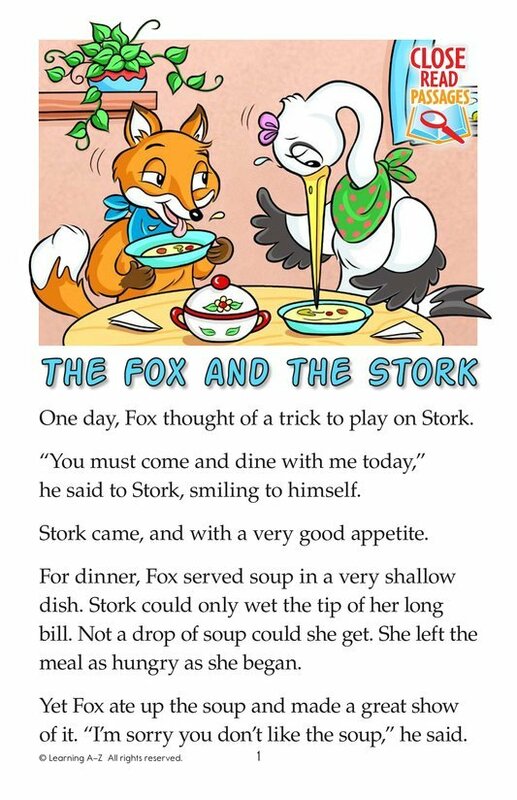 In this retelling of Aesop's fable, Fox plays a practical joke on Stork. He invites her to a dinner of soup but serves it in a shallow bowl. With her long beak, Stork can't eat the soup and leaves the meal hungry. Fox is greatly amused, until Stork turns the dinner table on him.